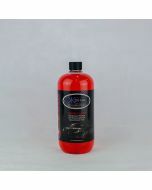 Tracer Hi-Gloss Shampoo is ph neutral with great lubrication and foaming abilities. 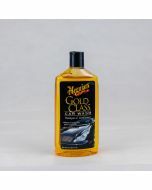 Tracer Hi-Gloss Shampoo is ph neutral with great lubrication and foaming abilities. Developed in such a way as a preventative measure to ensure dirt is not dragged across the paintwork during washing. 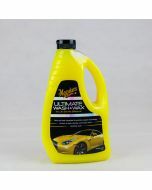 It is formulated from the highest quality raw materials sourced globally and will leave a deep gloss and unrivaled shine. 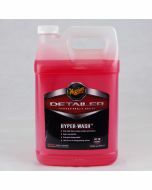 It is completely wax friendly and will only remove traffic film and other road filth. With a ‘Cola Cubes’ scent this shampoo is a joy to use and will give you a trip down memory lane to the times of pick n mix at your local newsagents or sweet shop. Depending on the degree of contamination Tracer can be used at varying dilutions. For heavy soiling, the recommended dilution with clean water is 50:1. For general cleaning and light soiling a dilution of 500:1 should suffice. For best results add to an empty wash bucket. Apply a high pressure hose to the bucket at achieve a thick rich foam moose. Using a dedicated lamb’s wool mitt, apply the foam to the surface of the vehicle in long sweeping movements. 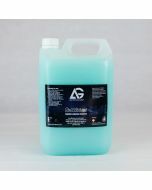 Remove / rinse any remaining residue with clean water. Never apply and allow to dwell on surfaces in direct sunlight. Always check the suitability of the product for your vehicle by doing a quick test.